Hide Unsightly TV Wires with Legrand DIY Projects @ Best Buy!! 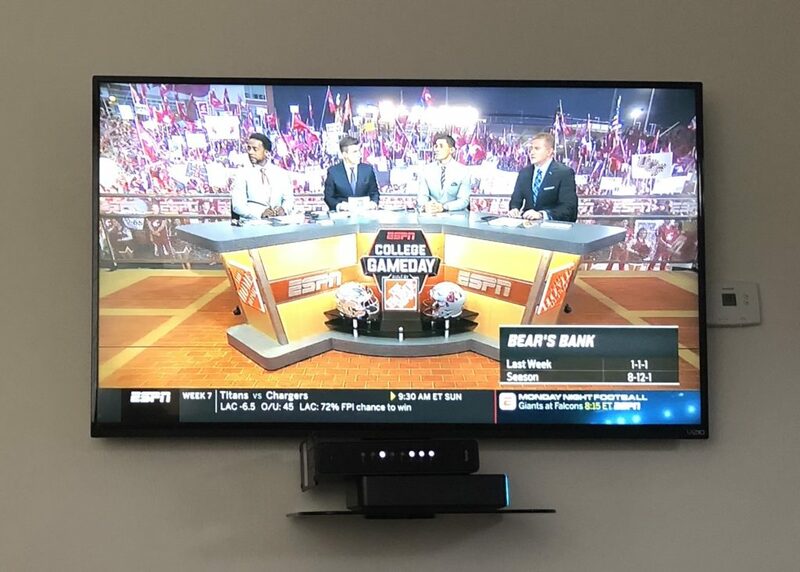 Do you have your flat-screen TV mounted to the wall but want to hide all those ugly cords for a clean, professional look? 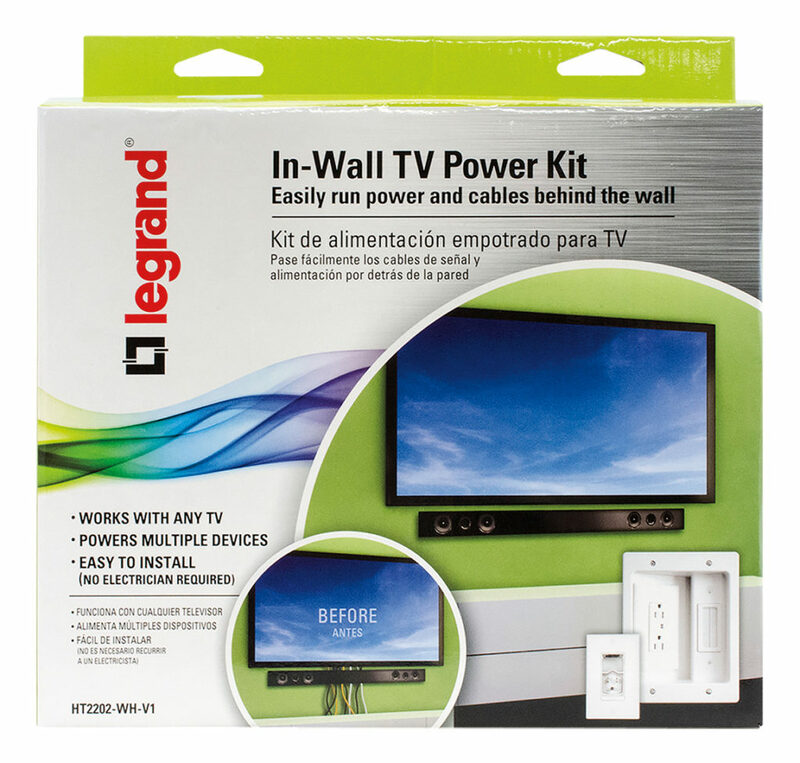 The Legrand In-Wall TV Power Kit offers convenient access to the back of your TV and lets you connect your television to cable and electricity in seamless style. The In-wall design hides all cabling, including power, HDMI, coax, and Cat 5e behind the wall. 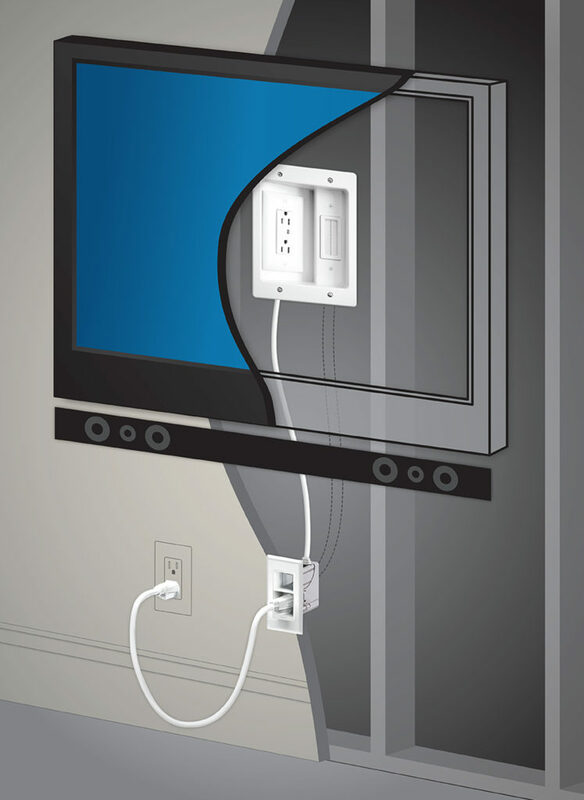 It works with any brand TV and is compatible with all TV power plugs including right angles and wall warts. You can also power multiple devices allowing you to hook up a digital TV adapter, cable box, sound bar or streaming media devices such as Apple TV or Roku. The Legrand In-Wall TV Power Kit gives you plenty of options and supports most TV locations including corners and outside wall mounting. Best of all, it extends power to a wall mount TV without modifying the home’s existing electrical wiring. The installation process was safe and easy. I recently mounted my 60″ flat-screen TV to the wall but this was my first time running wires behind the dry wall. Before you begin installation there’s a couple items you’ll need that aren’t included in the kit. These items include a stud finder (to find the center between two studs where you will cut the two holes), a level. a Phillips head screw driver, and a tool for cutting the dry wall. I would recommend a Dremel multi-saw tool kit because it cut through the dry wall like butter. You will need to cut two holes in the dry wall, one outlet sized hole near the floor and one bigger sized square hole directly behind the TV. Once you find the center between the two studs, you’ll trace the Power Inlet using a pen, level, and mud-ring at outlet level or 18″ from the floor. You need to be sure there is another outlet in close proximity or reaching distance for the power cord. You will then trace the Recessed Box using the level, pen, and instruction card behind intended TV location. The next step is cutting the holes that you just traced and running the cables from top to bottom. 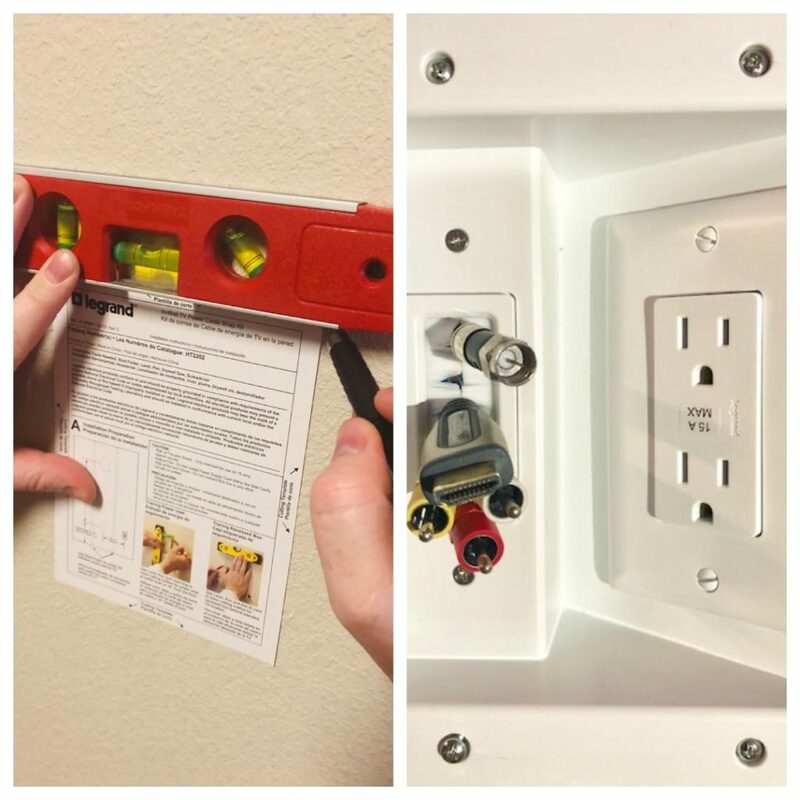 To do this, you simply feed power cable through recessed outlet cut hole, out through the mud-ring and using a screwdriver and the two provided screws, secure the molded male plug-end of the power cable to the power inlet assembly. Feed any Cat 5, Coax, or HDMI cables through the brush strap and through the power inlet before securing the power inlet to the mud-ring then attaching the wall plate for a clean, finished look. The last step is powering the power inlet which you do by connecting any other cables to the equipment and supplied power cable to the nearest AC outlet. All in all this was a relatively painless experience. I have no previous installation experience and this project took roughly 45 minutes. Believe me when I tell you, if my husband and I can do this…anybody can! You can pick up your own kit at your local Best Buy store or at Best Buy online here.